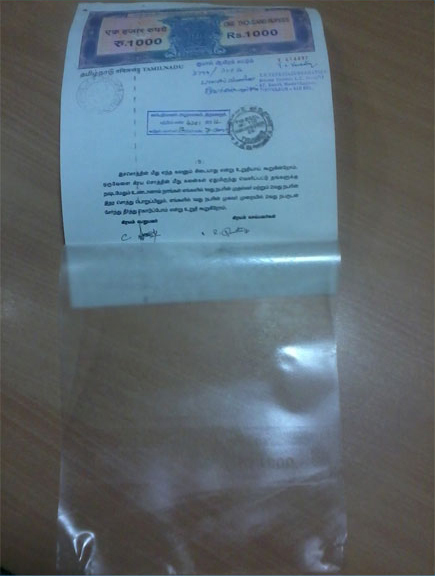 The documents that are preserved and kept laminated have to be taken out for various reasons. 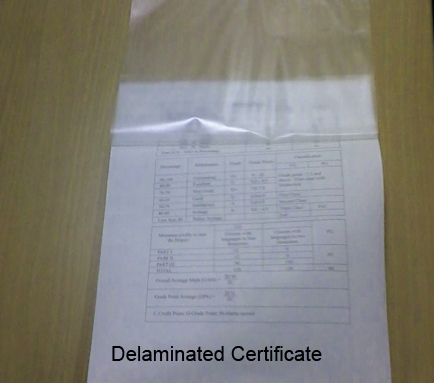 The Delamination (lamination removal) of Certificates can be defined as the forceful removal of the laminations. For example, every Indian citizen seeking migration to some countries abroad need to authenticate his/her educational qualification duly attested by the competent authority. 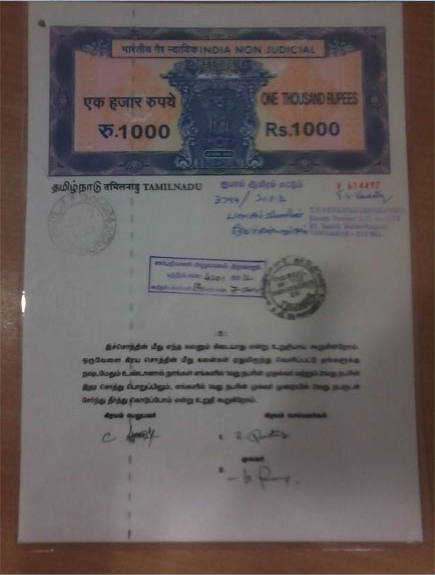 Some of the State or Central government authorities in India do not accept the laminated certificates. In all these cases, the authorities would ask to remove the lamination. However, the process of lamination is very simple and less time consuming when it comes to the question of removing the lamination and taking out the document becomes a tedious and most risky task. Trying to remove the lamination manually would cause severe damage to the document lying inside it. The pressure and degree of heat applied on the same document while laminating may vary from one millimeter to another millimeter area makes the removal of it highly risky. Another risk involved is the present state of the document before lamination may not be similar in all the cases and hence no uniform theory could be possible to apply universally. Different methods are using to remove the lamination from documents. Some will try the method of chemical de-lamination, but this is not a suitable method,it may damage the letters on the certificate. Some will tear off paper from documents/certificates and such method could not justify the word "De lamination". We do not either tear off the paper or make any damage, which means we assure you full security to your document for the "de-lamination". 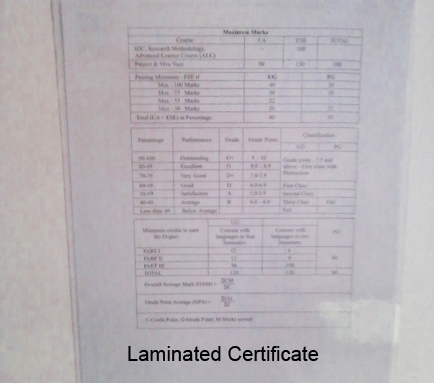 Who is in need to remove the lamination both side of certificate/documents, we can do it successfully.